Dr. Mike Farrar is a native of Shreveport, LA. After graduating from C.E. Byrd High School, he completed his undergraduate courses in Biological Sciences at the University of Mississippi and continued to his DDS from Louisiana State University School of Dentistry in New Orleans. He is a member of the South District Dental Society of Tennessee, the Tennessee Dental Association, and the American Academy of General Dentistry. Dr. Mike’s desire is to provide the highest quality dentistry in the most comfortable setting possible. In an effort to do this, he is certified in provide nitrous oxide sedation and oral conscious sedation. He also dedicates much of his time attending numerous continuing education courses to stay up to date on the most recent advancements in the dental field. Dr. Mike resides in Jackson with his wife, Sarah, and two children, Ellie and Conley. In his spare time, Dr. Mike enjoys being outside, whether it is running, cycling, or just spending time with his family. 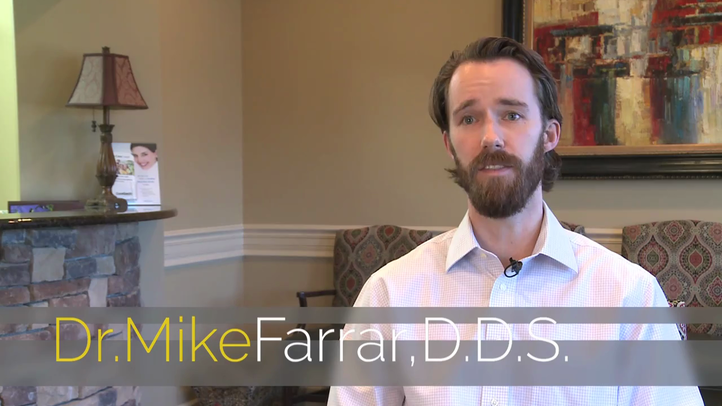 Dr. Mike Farrar found his calling in dentistry with the help of Dr. Harper. He thoroughly enjoys his work and the opportunity it provides to meet new people and grow relationships with his patients in Trenton, Jackson, and Germantown. Dr. Farrar is personally invested in maintaining the oral health of each of his patients and seeks to provide them with the best care available.